FYI: I just noticed that two of the most recent controversial threads are no longer published. I actually didn’t remove them. Rather, people misused the anti-SPAM button to un-publish them. But now that they are un-published, I’m not going to put them back online either. What about uploading them again, but closed, to show people an example of what to do and what not to do? I’m one of the members who read the gun control thread yesterday and found interesting (not always shared, anyway) points of view. Maybe such threads should be allowed with such pedagogical goal in mind, perhaps just using a warning on the title (such as “polemical”, or so). Sadly, not everyone is born being tolerant, and some need learning. The usual relaxed and friendly atmosphere in this forum seems ideal for it, and i think that we users in this forum are pretty good in self regulating. Of course from time to time someone is gonna get pissed and leave the forum, but on the other hand, openess is one of the trademarks of BLF, and many non-flashlight-realted conversations provide us with enriched experiences. With respect we should be able to discuss about any topic. Guys, let’s keep this forum as fuc#ing awesome as always. If you want to discuss politics and religion go to the according forums and discuss it there. There is way too much conflict potential on those topics and they need a completely different moderation style to keep those discussions civil. Not sure if your message is intended for me. The guys who were discussing about the topic did it in the right section I know about the religion/politics warning, and i try to avoid them and, at least when i checked it, nobody had been disrespectful yet (though the “warmth” could be easily felt). But…. …most of us here are adults and supposed to be able to discern about topics we want to know/read/write about. 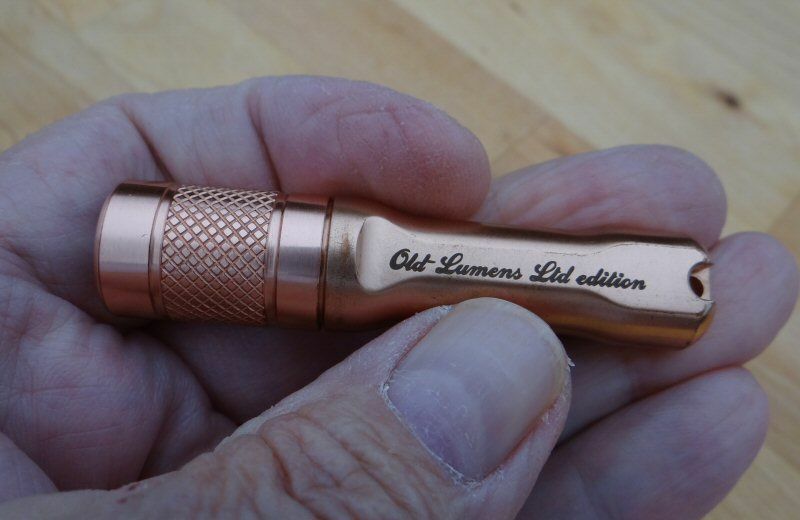 Sometimes i check the 26650 Flashlights subforum, some others I’ll read a thread titled “How do you clean your ears?” ( a real thread here, btw :bigsmile: ) and i will never read, let’s say, “BudgetLightForum Deal Alerts” sub forum… The forum is well and pretty dumb-proof organised. Do you know what i mean? If some threads were labelled as “polemical” or “controversial” maybe be it would be easier for some people to keep it civil, because they know where they’re getting into. My point here is this: when someone can’t behave, respect or be civil, he’s better off, and actually some threads can act like a filter (of course, speaking as a plain user, not from Admin point of view) . I’m all for keeping the budget stuff (mostly thingies with light :bigsmile: ) as main topic, but i do not find a bad idea to talk about other stuff in the right section and with the due respect. Why? because i guess i“m not the only one who enjoys surfing different parts of the forum, and sometimes I might learn something you wrote about leds, some other times I can learn from your posts on knives and, why not, I might find interesting learning about your views on other topics. I don’t think one can get new friends here, but i certainly appreciate some guys by their thoroughly thought posts on certain topics. Wrapping up: i don’t mean at all to foster some threads, but i want to state that not everyone feels threatened by them (so Mods shouldn’t overworry either, we care for their health ). If you want to remove those topics, go ahead, I’ll probably keep checking the forum, but with lesser joy, . As has been requested many, many times in the past… it would be great if you could implement an “ignore user” button. Your life as admin and that of many others would suddenly become less stressful. How difficult would it be to add the magical “iggy bin” button? My trigger finger is already beginning to itch! You’re welcome to chat here about whatever suits your fancy, as long as it follows the BLF Site Rules. Please strictly avoid all controversial and divisive topics such as religion and politics. Keep it civil please! Hmm, I’m not too sure that the “ignore user” functionality would really solve the problem. There’s not really any one user here (including myself) who could be classified as 100% insightful or 100% idiot all the time. We can all say dumb stuff occasionally, but we do need to learn to read things with a sense of humor and grain of salt. Additionally, there are certain important polemic topics on which I have a very strong opinion, but I don’t intend to censor posts and only leave the opinions that I agree with. I simply don’t want certain topics or beliefs on BLF for anybody to see, whether they hit the ignore button or not. So the easiest way is to simply prohibit controversies (with the exception of “which is better: Ultrafire or Trustfire” ), and I’m happy to send a reminder to anybody who crosses the line. anyone who says ultrafire is wrong. and they are all fakes. SB - I think you should put up that first post about once a week, as a constant reminder for all of us. SB – I think you should put up that first post about once a week, as a constant reminder for all of us. Both opponents and proponents of the issue have to admit that the discussion that was generated here on BLF really did nothing to change things on the world scene, and only generated an unpleasant argument and hurt feelings. I didn’t participate in either thread. I am either an opponent or proponent of different opinions. And unfortunately, I see such discussions differently when it comes to changing “things” of the world scene. I’m here because there are some people here I really respect because of how they think and how they conduct themselves. Others I may respect for their passion, if not some of their ideas or methods. And I lot of people I just don’t know enough about, yet. But one of the things that is changed here is what I think (particularly about good and evil), because of what I learn. Both in the way of facts, true or not AND in the way they are presented. Little changes like that create ripples we can’t predict or maybe even measure. But I know we do affect each other, even if we can’t measure it. I respect that you have good reasons and every right to run the entire web site as you like. It’s a good place in large part because of the culture formed by early members and your rules. So, I also believe the site can be better with reflection on how to allow more interaction while not interfering with your primary goals. One of those might be a dedicated sub-section where current topics are allowed, but which doesn’t pull up with the Recent Posts thread so that those not interested don’t feel compelled to wander in, or re-visit. And so that those who like hanging out here can do so without feeling they are compelled to visit elsewhere (as long as they are respectful). My point is that I like hanging out here and getting to know people. And these threads happen anyway. They don’t have to be permanent, but it might help if they had a place that wasn’t so visible. Either way, the point of discussion isn’t that our non-US friends or even US opinions are going to change the Constitution, or laws of other lands. But we do affect each other, even in spite of rules and a conspicuous lack of public agreement on all “things”. The site owner has requested that certain subjects not be discussed. Please have the respect to honor that request. On another forum I frequent, there is a members by request section, you have to have acquired a set number of posts and be approved by two different mods (i know, this bit difficult, maybe some of the old guard by pm?). This section is none public available, you have to have signed up and been vetted by your peers, its more for adult/topical jokes and the like, but may also be somewhere to have these “debates” either that or we set up a Facebook thread so members can I’d themselves and have the option of joining each other on Facebook, take the heated discussion elsewhere and keep this place as the utopia of peace and serenity we have all come to love. The problem is often that people feel very strongly about some of those topics and title the opposing opinion as "foolish","idiotic","plain wrong"... or something along those lines. There is often no room left for a serious discussion with pros/cons, so you end up having otherwise sensible people insulting each other in the worst case when nobody steps in. If you push peoples buttons enough they start acting like children again and that goes especially for the internet (general observation -> not directed at anyone specific). I also thought much like you that BLF would be different from other places on the internet, but you can imagine my disappointment when I found out that it just takes 1 topic or 1 person to poison the whole atmosphere here on BLF. Luckily those incidents where scarce in the past and I hope that it stays that way. Arrrgh! :Sp Well, those are nice thoughts, but unfortunately, history has proven that this has not been the case. Outside of spam advertising, personal favoritism and a perceived lack of equality seem to drive the decision as to who stays and who goes. Many of us are more than familiar with the history of repeat offenders here, and the associated outcomes of mild to non-existent penalties. The same characters surface repeatedly to rudely offend half the forum, yet remain online and unrestricted to offend others… over and over again. I again respectfully ask for “the button” (so that the responsible remaining hundreds of us that truly DO care about this hobby and enjoy helping others enjoy it) can have a tool to illuminate the trolls. You and I both know that: most of us know the difference between the the occasional blabber-mouth (yup, like you and I ) versus the ones that spew the intermittent stream of offensive diarrhea. While it will not solve all the problems, I guarantee you that it will certainly add a huge measure of self preservation to those that repeatedly overstep the boundaries… especially if a number count appears under their names that show how many users are currently ignoring them. :bigsmile: That should be an obvious red flag for you to do something about it. Many forums have an ignore or rating system for its users. Its an obvious time honored method of self-policing the worlds largest forums, and it has repeatedly proven to be a very effective method from day one. After all, if we chose to be members here, shouldnt it be up to us to decide who we can “ignore” and who we chose to honor based on their merit? Its a personal decision of the individual member, not an administrative one to dictate; nor would it require any action from you in abiding someones silent personal choice. Again, look at other mega-sites for proof that the proposed tool is highly effective… not opinion or conjecture of what it might or might not do. No wonder people keep clicking the spam button outside of your intent. Its not going to stop in spite of your repeated warnings and explanations in its proper use. Give us the proper tool so we can use it properly. I will withhold a few more thoughts… because you, I and several others have already discussed them in great detail, but to no avail. But I will say that you might want to rethink how important it is to treat your members equally and enforce your own rules, rather than posting them repeatedly and then wondering why they arent followed. This has mostly been ineffective. I have no resentment or personal animosities. As a casual observer, it pains me to still see the same behaviors from a few individuals, and still be issued the same hollow warnings with no administrative action. I hate to say it, but Im often left wondering if maybe you enjoy the trolls, soap operas and drama queens. Im certainly not the only one to share these thoughts and observations. I apologize if this effects our relationship, but I think this needs to be addressed here and now so that you can hopefully do what probably should have been done long ago. This isnt meant to be a “bash SB post”, so please read into it and dont take it that way. You know the history and what predicated this post. For the benefit of others, SB has worked very hard to make BLF what it is today, and most of us old timers have a huge personal respect for him in his choice to enforce free speech (often be it to slanted towards his own personal beliefs). But that is his prerogative, so far… All though we might all be faceless piers to one another, I think many of us have already seen how important it is to protect our personal image online. After all, who would want to read the remarks of someone with a high “ignore” count under their name? …the tell-tale signs of a repeat moron and consecutive offender. I say its time to get rid of the idiots and stop the personal favoritism in protecting them. One would think they should stand out like flaming targets for the responsible admin’s “delete account” button, wouldnt you? We dont have to admin like another arrogant dictatorial CPF nazi site to pull this off. Just being a responsible one to operate at a normal reasonable standard would be good enough… again, like so many others infinitely larger than BLF have implemented with great success. Also, my apologies for dragging this out and to those that read through with tongue in cheek. Ive certainly earned some ignore counts of my own over the years, but my intentions are mostly sincere and selfless in defending others. Im sure there will be more opposition, but hopefully the point will finally be very strongly reconsidered in light of the abysmal repeated blunders of the past. This should have been implemented long ago to prevent a lot of hurt feelings and controversy, just as it has been elsewhere in keeping trolls at bay. Still, much respect to you Sb… please think it over for a day before you reply and maybe check out a few other forums. I created the last poll on this subject for everyone’s benefit. Please feel free to start the next one. One of the most difficult qualities a good manager must master is to put aside personal feelings in order to benefit the majority and success of the organization. “We” are your organization. If others feel Im out of line here, Im ready to face the music. I think you misunderstood me. I meant that, with respect, people MUST be able to discuss about anything. That’s the only way to improve as a society. No respect and no openess and guess what kind of world you’ll get. That’s a general statement, applying not only to this forum, neither the internet. And, if i’m not wrong, i think you’ll agree with that. My message was not a request at all to include and/or include more threads like the ones we’re talking about, and the SB took it right, it was just the expression of an opinion. If you read my post again, you’ll see that i both acknowledge the existence of those rules and admit following them. As a matter of fact, despite of having strong convictions on the topic, i restrained myself of posting anything at all. As you can see, I’ve been honoring his request. With regard to an ignore button and a corresponding user rating/score reducing administrative load, this is unfortunately not at all the case, at least here on BLF. When we used to have a “SPAM level” indicator below every user’s profile, my inbox was constantly flooded with requests by users, often feeling very hurt, asking me to “fix” their SPAM level rating. Most of the time, the SPAM level was simply a result of mistaken clicks on the SPAM button. As to whether I enjoy the drama, absolutely not. I hate it when this stuff comes up. About enforcing rules: I enforce the rules whenever I personally notice that a user has seriously crossed the line or when it is brought to my attention. Many users here have received a PM from me in which I request them to go back and remove offensive content, be it controversial or lewd in nature. Almost invariably, the users in question are very reasonable and they edit their posts, or else they ask me to just remove the whole thread for them. The problem is that I don’t read 100% of the posts, and I am frequently away from my computer and away from an internet connection, so I sometimes can’t handle problems promptly, and I apologize for that. In fact that was what happened with the gun control threads. I was away for the better part of Friday and Saturday and extremely busy for all of Sunday, thus the lack of action on my part. So, I’m not discarding the option of an ignore button. But it’s definitely not a silver bullet solution. The most effective way of ensuring that the rules are enforced is enlisting the help of a slew of moderators in different time zones around the world who will constantly police the forums 24/7 and temporarily ban users after 1 or 2 offences. But as everyone well knows, there are already plenty of forums across the Internet with that moderation style, and we’re not going to follow that same route. Keith, you say you “created the last poll on this subject”. Are you referring to a poll you created here about whether we should have an “ignore” button? I can’t seem to find one about the subject. Thanks again for your helpful criticism! because folks are getting ‘riled up’ by other topics other than flashlights. Gettin’ riled-up about flashlights I’m cool with. I don’t have a problem with disagreements like that. Riled-up about everything else, take it somewhere else, else I’m gone, outta here, vamoosh. I get enough of it 24/7 everywhere I go, from pretty much a lot of disgruntled, frustrated with society bodies and a lot of hinky angles that suits only one’s particular beliefs and upbringing. I don’t need any more of it. I’m saturated. You guys make the choice of what ya want this forum to function as. Either as essentially a pure flashflight forum, or a flashlight forum getttin more and more disguised as a place to nastily vent your stances in life against each other. And believe me all those differences will seep-in to the flashlight-part to where it becomes a moderator’s nightmare. I’m not interested in the latter one iota, neither under a subdued version, politically-correct version, or any other kind of version other than discussing and arguing about flashlights. And I don’t think there are enough moderators here who need to deal with the headaches of acting like constant virtual social-referees either – so it’s ultimately up to them. Some people are touchy enough here as it is. Real thin skins. Sometimes I can’t obviously kid around without somebody taking it unbelievably dam* seriously. C’mon. Lighten up. I don’t care how old you are, who you are in status, or how self-important ya think ya are. No one’s that important here. This place will continue without you or me. Lighten up. No one’s trying to be nasty towards ya. Think humor first or light-hearted jabbing like hopefully ya handle it in real life. And if ya can’t handle it here, then you’re prolly a social basket-case outside of here too. We’re just here to have a little distracting fun is all and maybe poke each other in the ribs once in a while about mainly flashlights in general. But we do know when to back off, or when things go too far in Flashlight World, ya know what I mean? But now if ya interject controversial subjects on top of the fact that ya gots yer real touchy folks here it’s only gonna get worse unless they change which I doubt. That I know for a fact. As for me, if this happens some more I’ll be on the very verge of saying hasta la vista baby and participating somewhere else or just no place at all. Life is short and hard enough as it is. I think can contribute some good things here, some different viewpoints, even challenge some of ya to think outside the box and vice versa. But on the same token I don’t need drama, nor drama queens. I’m not gonna waste my time if it’s gonna end up being Flashlight Fist City, Nasty Distractionville, or Prima Donnaville either. Lighten up. I like having fun. And so should all of you. Else why come here? Well said, I do find I sometimes have to resist the urge of extracting the urine, you just get a feeling it’ll get taken all wrong, teddies will be flying out of prams, dummies bouncing off walls, it won’t end well. +1 … Couldn’t agree more. This forum is a great escape from all the drama. We come here to talk about lights and learn. No nonsense needed. Being that I strive daily to attain the ranking of 100% idiot. I see that I have failed (sorry) , I shall work on it! Belief = Neither Fact nor Truth - it is a state of mind ..
No two men [ or women or cats or dogs , what ever ] can ever see anything exactly the same way . And the further apart they are , [ even if looking at exactly the same thing ] the more different there view will be . It does not mean that any is wrong , or right for that matter . What matters is that they have the ability to see or understand the others point of view . If there is no understanding , there is no way forward ! So I agree 100% , lets move forward . I agree that controversial topics should be avoided mainly just because Mr. Admin prefers that policy and it’s his (well run) board. Otherwise, I personally think it’s interesting especially if people can refrain from personal attacks and remarks. There are a lot of members with differing views and backgrounds and it’s interesting (to me) to hear everyone’s point of view. I don’t understand those who it bothers so much that they want to leave. If threads of that nature aren’t your thing there is no need to read them. There are many threads on here that I’m not interested in and therefore don’t read but it doesn’t bother me that others want to read them. I don’t think it’s appropriate to bring those divisive subjects into regular flashlight topics as Gorann used to do but if left in the Off Topic area I would have no problem with it. Rather than closing or deleted those topics I think they generally die out on their own. It makes them more “dramatic” when they are closed as they would soon die out anyway. That’s not Mr. Admin’s policy however and I can totally respect that. I’ve just never quite understood the reactions of a few that were bothered so much by topics when they (including me and anyone else) could just not read or participate in. I agree it is best to just avoid controversial topics here. I get on an old-fashioned bulletin board service where there are about 10 people that discuss political issues, and while it can be quite divisive, it is a small group and we’re pretty used to each other. It is all US-based politics (though there is one South African guy), but if you want to try it out, we are always looking to add a few people to keep things lively. PM me if you are interested and I can get you instructions. It is an old Macintosh Users Group and runs First Class BBS software. I think it is regrettable to not be able to post ‘controversial’ topics. Life is made up of different viewpoints and it would be nice to have them in the appropriate “Off-topic Chatter” forum. Else, why not close this useless subforum if this forums only deals with flashlights? I'll throw this out there. Perhaps a nomination ? Scaru and Lumatic running the joint? Its a good thing. I 100% agree with this too. I know I am one who is guilty of taking us off-topic, I really didn’t think it was a problem at the time, at least it didn’t have to become one. But I respect Mr Admin’s wishes and agree that it may well be for the best to simply keep such discussion out of the forum altogether. It is a shame we don’t seem able to discuss certain controversial topics without descending into chaos, but if not then I completely agree that we should stop trying to. That clearly applies to me more than most, so I apologise for anything I have done (and may do in the future, although I will try my best not to) which crosses a line.